I love this post Lauren! And being an aunt rocks – congratulations! I too am separated from a niece and nephew by far too many miles. 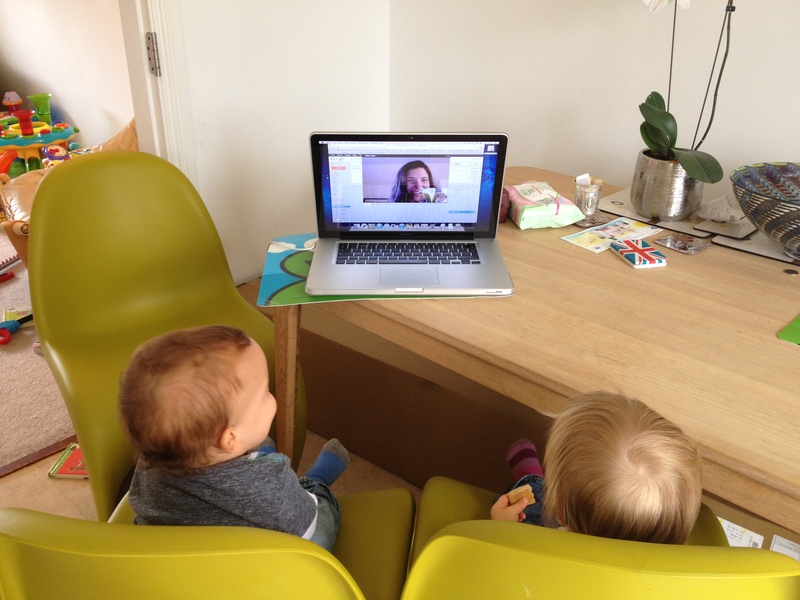 The fun thing for me at the moment is that my sister’s kids and mine (ages 12, 11 and 9) now all play together on Skype or FaceTime. Not quite as good as physically being together but the interactions are pretty similar – showing each other stuff, telling jokes, making up games and discussing homework. I’m usually in the next room trying to shut my ears to four lots of hysterical giggling. Wonderful. And like your children, when we manage a visit in the flesh each kid is fully conversant with the others’ lives already and it all feels very natural and close. I think this kind of technology has radically changed the a key aspect of the experience of emigration. Oh that sounds brilliant, Phillipa, for the cousins! And also for the moms who are able to hide out in the next rooms ;). So glad you enjoyed this one.